Under the Queensland Work Health and Safety Regulation 2011 a workplace may be required to have an asbestos register and management plan on site if the building is constructed before the 31st of December 1989. 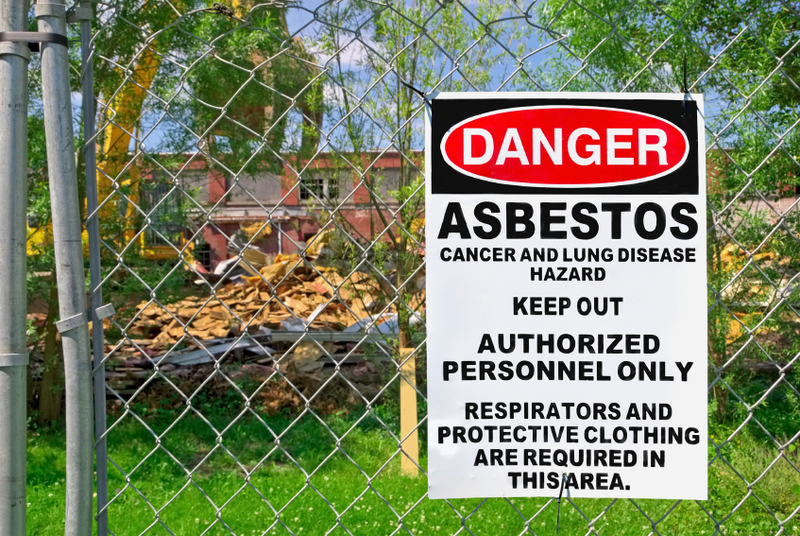 The Work Health and Safety Regulation and the Code of Practice for the Safe Removal of Asbestos 2011 also state that air monitoring is mandatory for all friable asbestos removal projects. While there are no requirements at present for asbestos air monitoring for non-friable asbestos removals it is highly recommended to undertake asbestos control and clearance air monitoring as a precautionary measure. At Threshold Environmental Services we have dedicated asbestos officers on staff who are experienced in the areas of asbestos air monitoring, surveys and audits. We have provided our asbestos services to a wide range of clients and workplaces over the years including schools, hospitals, churches, council facilities and residential renovation projects. Our team of occupational hygienists are all licenced asbestos assessors and work conducted is done in full compliance with relevant Australian Standards, State and Federal Codes of Practice and Regulatory requirements. Asbestos Audits are conducted in workplace buildings or residential properties to determine the presence of asbestos containing materials (ACM) and the extent of exposure risk the materials pose to building occupants, employees, external contractors and the general public. identifying and sampling ACM suspected materials. methodically recording locations of each asbestos occurrence. assessing the condition of the ACM (i.e. Good, Fair or Poor). assessing the health risk posed by the ACM occurrence. preparing a detailed asbestos register. In accordance with the requirements of the Queensland Workplace Health and Safety legislation, all commercial structures built prior to 1990 must be inspected for asbestos. To ensure this legal requirement is met all of the following options to identify the presence of asbestos may be adopted. Non-destructive asbestos audits involve inspecting all visible and accessible areas within a property and identifying materials suspected of containing asbestos using the consultants experience to make the determination. The asbestos audit encompasses items within and adjacent the property such as; construction materials and building services. Non fixed equipment found within a property are not included in the asbestos audit. With destructive asbestos audits the asbestos consultant is required to take physical samples of the structure often using a hammer and chisel. Destructive asbestos audits should only be conducted after the occupants have vacated the building and electricity has been turned off to the property. A destructive asbestos survey is commissioned to identify all ACM in the property and is done usually prior to the commencement of refurbishment and or demolition works. The current Workplace Health and Safety (WH&S) legislation requires the person in control of a building to conduct asbestos re-inspections every 5 years at a minimum. If the condition of the ACM changes at any point in time a re-inspection is required regardless of the 5 year time frame. Inspections are to be conducted by an asbestos hygienist and will comprise a visual assessment of the condition of the in-situ ACM to determine whether the material remains in a satisfactory condition, or if deterioration has occurred since the previous inspection. If deterioration of the in situ ACM material is found to have occurred since the last inspection remedial action, such as encapsulation, isolation or removal of the asbestos containing materials, is required. Upon completion of the re inspection the asbestos hygienist will be required to update and re-issue the asbestos register. The end result of the site asbestos audit is the compilation of a site asbestos register. The site asbestos register will contain the locations of the asbestos occurrences (both known and/or presumed). For each asbestos occurrence location, photos along with a risk-based assessment of the location including condition of the materials are included in the asbestos register. A hard copy of the asbestos register should be kept on site and made available to employees, site visitors and contractors. This will ensure that employees, site visitors and contractors working on site know where they are likely to encounter asbestos containing materials and therefore reduce the risk of an unexpected contamination event. The effective control and management of any asbestos containing materials remaining in-situ is dependent on the need to ensure the asbestos remains undisturbed and in good condition. As such, the purpose of an Asbestos Management Plan (AMP) is to ensure that all practicable steps are taken to prevent or minimise the risk of exposure to asbestos containing materials, for all staff, public and contractors present at the Property. The need for management of asbestos risks is driven by state legislation and is completed through the identification and listing of the known and typical locations of the asbestos materials and the implementation of appropriate control measures including engineering and administrative systems. Monitor the condition of the asbestos containing materials; andMinimise the possibility of accidental damage to asbestos containing materials or release of asbestos fibres. Minimise the possibility of accidental damage to asbestos containing materials or release of asbestos fibres. Asbestos air monitoring should be carried out whenever asbestos containing materials (ACM) are being removed to assist in the management of exposure to asbestos. 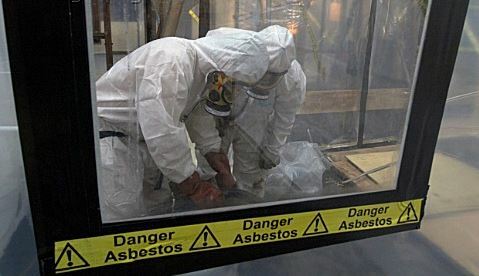 Typical forms of asbestos exposures included working with or near old asbestos containing materials (ACM) in poor condition, or workers accidentally liberating fibres through the use of power tools and removing products that contain asbestos using incorrect removal techniques. Threshold Environmental Services conduct all Airborne Asbestos Fibre Monitoring programs in accordance with the Guidance Note on the Membrane Filter Method for Estimating Airborne Asbestos Fibres [NOHSC:3003(2005)]. Background Airborne Asbestos Fibre Monitoring: This type of air monitoring is usually conducted prior to an asbestos removal project to assess background levels of airborne asbestos fibres in the area. Control Airborne Asbestos Fibre Monitoring: This type of air monitoring isconducted during the asbestos removal project. The monitors measuring asbestos fibre concentration levels are situated on the boundaries of the removal work area. The monitors are run over the duration of the removal project to determine the effectiveness of the control measures in place. Clearance Airborne Asbestos Fibre Monitoring: This type of air monitoring is conducted on completion of the asbestos removal project and is undertaken within the removal area to confirm the surrounding environment has an airborne asbestos fibre concentration below the regulatory limit of <0.01 f/ml of air. Clearance air monitoring is conducted in addition to the visual clearance inspection to verify the area is safe to reoccupy. Exposure Airborne Asbestos Fibre Monitoring: This type of air monitoring is used to measure worker exposures to asbestos fibres for direct comparison against Safe Work Australia Workplace Exposure Standards.